To many the name Josateki Tamudu doesn’t mean much. But for Fiji’s new national coach Christophe Gamel the name marks the future of football in the island nation. Playing for Rewa FC in domestic competitions, Tamudu’s attractive style of play is what caught the eye of the former Paris Saint Germain assistant coach who has indicated his approach to the game is how he sees football in Fiji progressing. “I saw him playing and was really impressed with his style of play,” Gamel said. For the 25-year-old defender, earning his first call up for the Bula Boys was a surprise. “It’s an honour of course but to be honest I didn’t expect it,” Tamudu said. Tamudu said he tries to keep his head down and just play leaving decisions about the line-up for the coaches. “He’s an experienced coach, he was assistant for PSG, so to notice me playing is an honour in itself,” he said. 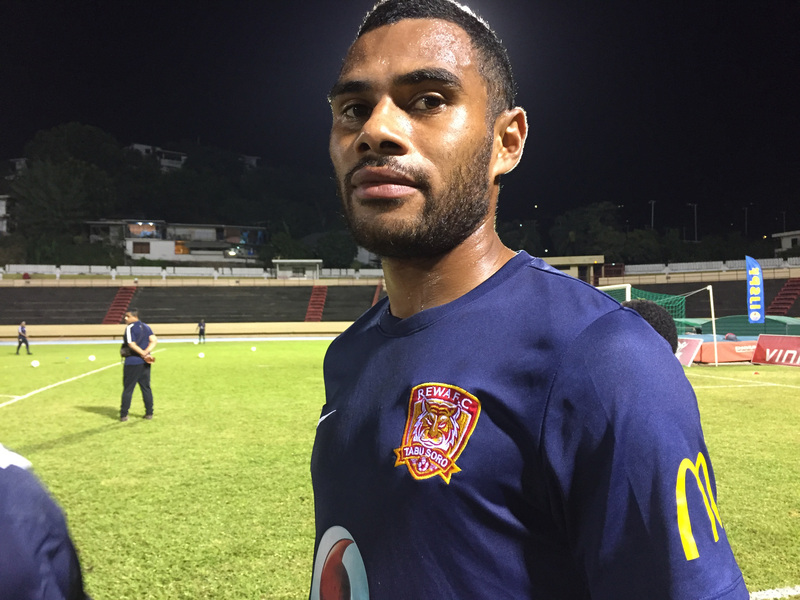 Tamudu is currently in Tahiti with Rewa FC as both the player and the club debut in the OFC Champions League. “I’m excited about being here with Rewa,” Tamudu said. “I’m from Rewa myself so this is my home district and it’s an honour playing for them. Tamudu believes having so many friends in the squad has been a good thing for helping him develop. Tamudu got his first run for Rewa in the OFC Champions League in the side’s 2-0 loss to Group D hosts AS Tefana last night.